It’s no secret that we have a passion for kids, and their health! It’s March Madness in most households, and we wanted to make it count. This week, Monday, March 23-Friday March 27, we are collecting new basketballs for the foster youth at South Bay Community Services! We are asking our patients to bring in a ball (cash/checks also accepted for donation), and New Patients who bring in a basketball will get their exam for $49…a 50% savings! 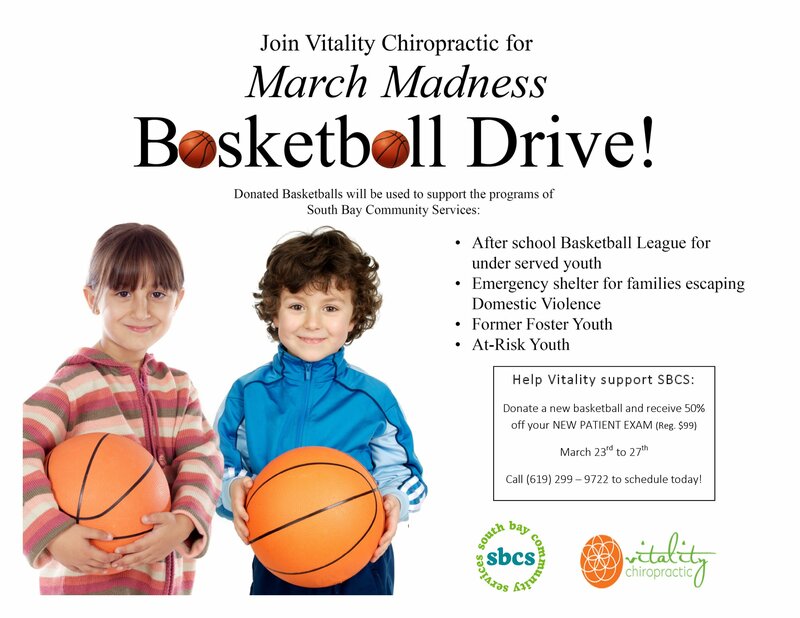 Please spread the word, and help us collect basketballs to help keep the kids at SBCS healthy, happy, and having fun! Learn more about SBCS and all of the amazing work that they do on their website! Also, we want to extend a huge thank you to those who have been bringing in basketballs/donations the past couple of weeks! Your kindness and generosity are not only a necessity, but truly cherished and appreciated! We love you!